With Aviva Premiership league games on full swing Saracens is now in the semi final stage or hope to get there if they are able to beat Glasgow in the forthcoming game. As per the structure of the league Saracens need to have a win against Glasgow or the forthcoming game in Bordeaux. If they are able to be victorious over Glasgow in the coming weekend they will be able to make it to the semi finals. Saracens has the leading position as of now in Europe. They would get to have a game in France or Ireland if they are able to defeat Glasgow Warriors. This would be their quarter final match for the Champions Cup. Indeed, the game looks a daunting one with the likes of players of Toulouse and Munster, who might make the quarter final a difficult one. In contrast the Wasps have a better chance if they defeat Leinster, which would pit them either against Toulon or Clermont Auvergne. Both semi finals are scheduled to play on neutral grounds. However, with the setup of the six nation tournament, there would some players in any team who would have the home ground advantage no matter which part of Europe the games are scheduled. 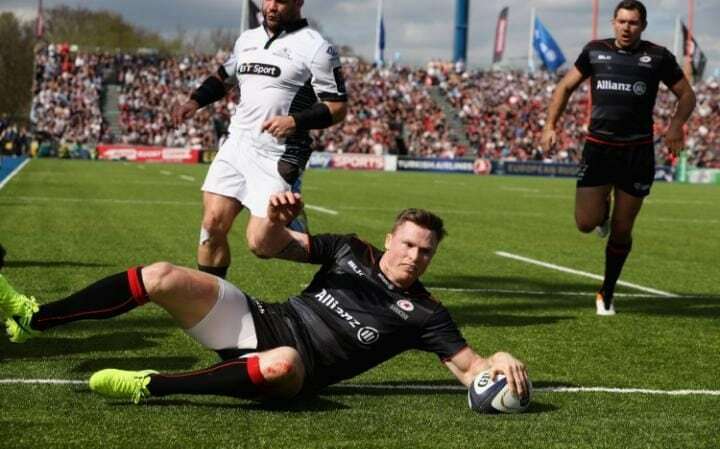 The game between Glasgow and Saracens would be held at Allianz Park. The winner of the game would play against Toulouse or Munster. If the Scots are able to win the game they will have a home advantage in playing the semi finals. It would also make them the highest ranked among the four teams that would remain to play. It is definitely getting more decisive now as the games move towards the final stages. Fans are gearing up to side their favorite teams and will surely play a crucial part in motivating the players.